With the debate over secularism and religious symbols dominating Quebec politics for several weeks, the National Assembly’s third-largest party did some reflecting on Saturday. Roughly 100 members of Quebec Solidaire gathered at CEGEP Trois-Rivieres to hear panelists opine on government employees in positions of authority wearing religious symbols. QS co-spokesperson Manon Masse and MNAs Ruba Ghazal and Andres Fontecilla were present. In the morning, the group hear presentations by Lucie Lamarche of the League of Rights and Freddoms, law professor Louis-Philippe Lampron and philosopher and reasonable accommodation authority Charles Taylor. 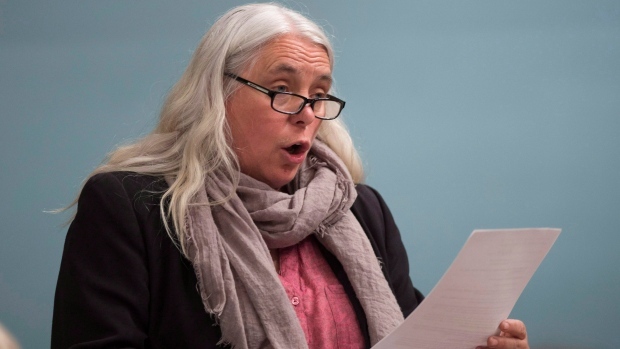 Traditionally, Quebec Solidaire has supported the Bouchard-Taylor consensus, established in the report of the same name, which said that the wearing of religious symbols by those in positions of authority should be prohibited. However, some members have recently expressed discomfort with the position. At the end of January, Rosemont MNA Vincent Marissal said he was not comfortable with the idea that “someone can’t get a job” because they wear religious symbols. Masse said an update to the party’s position is needed, given that the opinions of Quebecers have evolved since the Bouchard-Taylor report was published more than a decade ago.